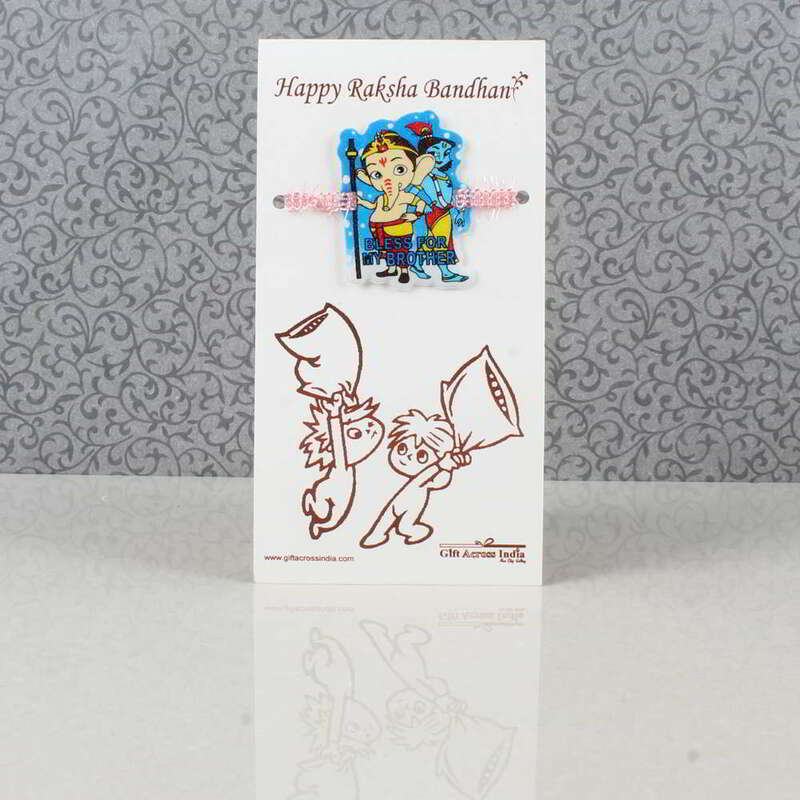 Product Consists: Ganesh Krishna Rakhi for Kids nicely tied on a Designer Card. "A perfect gift for the little one on the auspicious day of Raksha Bandhan to bless them with your love and care. It a super cute Ganesh Krishna Rakhi designed especially for kids to cheer the occasion. 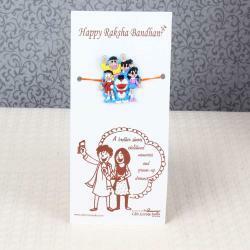 This special Rakhi is tied on a Rakhi special card which gives it a very cute look. Sending this special Rakhi on the eve will make them happy and they will flaunt it everywhere. It is gift which will be cherished for life and will be kept safe as a memory. Gifting a combo like this will make kids understand the importance of the occasion and they will cherish it by heart. 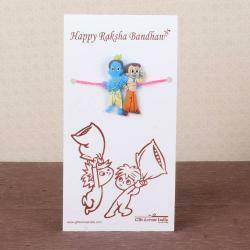 Product Consists: Ganesh Krishna Rakhi for Kids nicely tied on a Designer Card. "